Hands-on circuit building with real electronics components. All the materials included for you to complete each project. 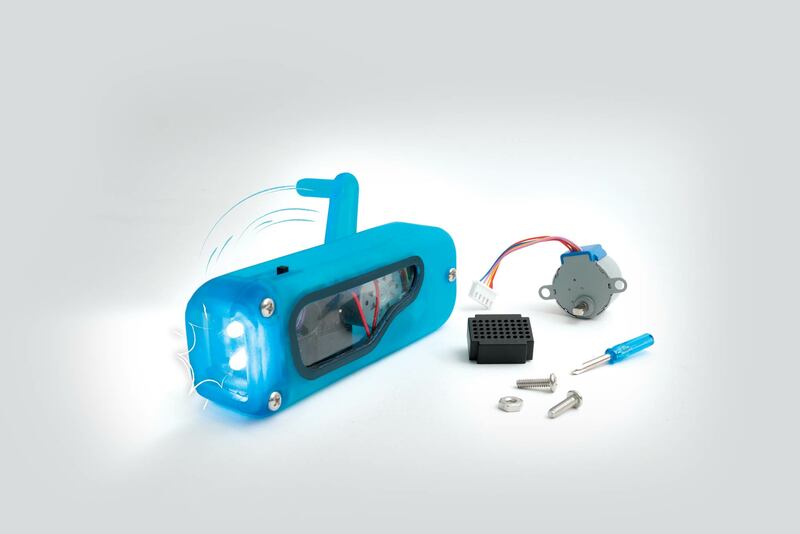 Easy to follow, step-by-step instructions included with each project. Clear illustrations take you through the complete build. Each project includes a series of explanations, exploded diagrams, and experiments to dissect and illuminate how everything works. 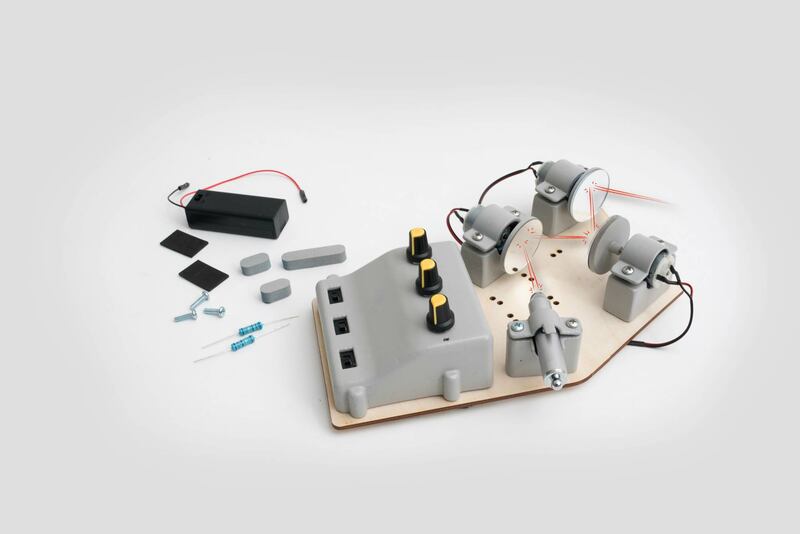 Explore the science of sound by building an amplification circuit to power your own personal speaker. 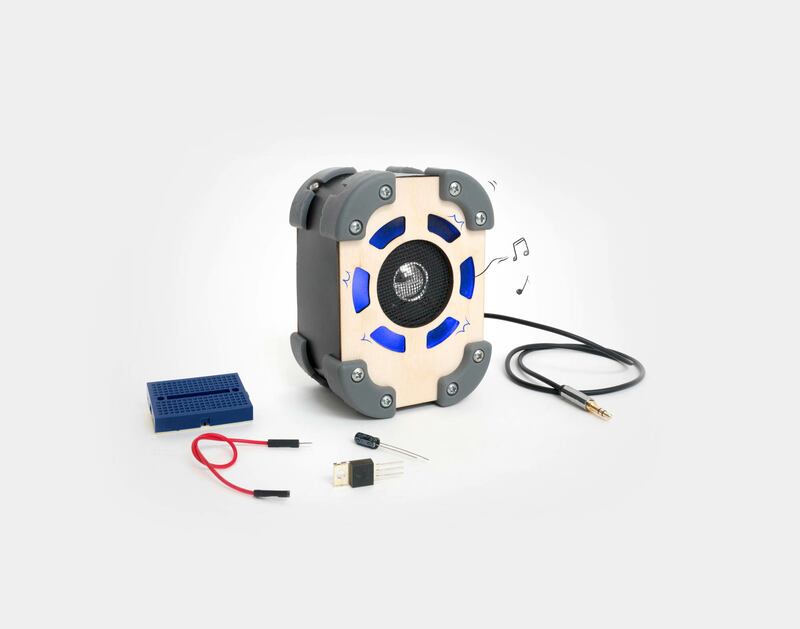 Customize your speaker with a glowing LED, and learn about transistors and electromagnetism through the included instruction set. 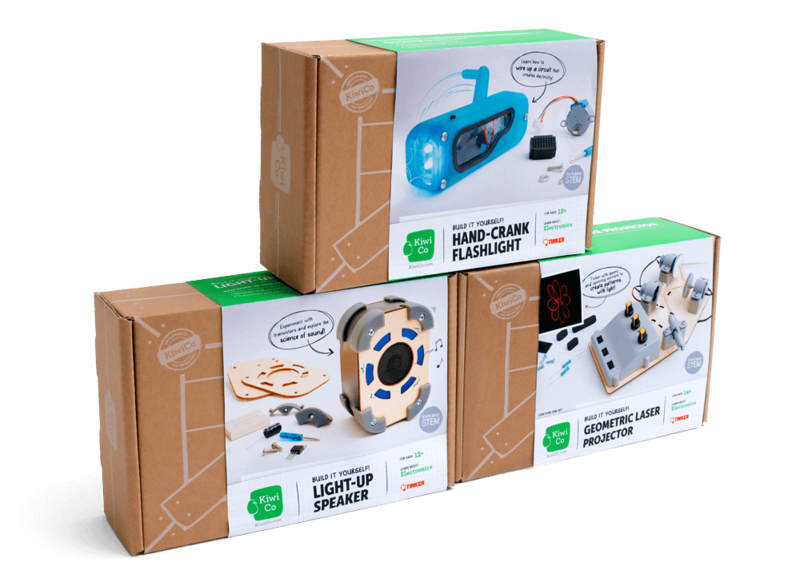 With all materials and instructions included and no soldering required, these kits are perfect for the first-time enthusiast or seasoned electronics expert.